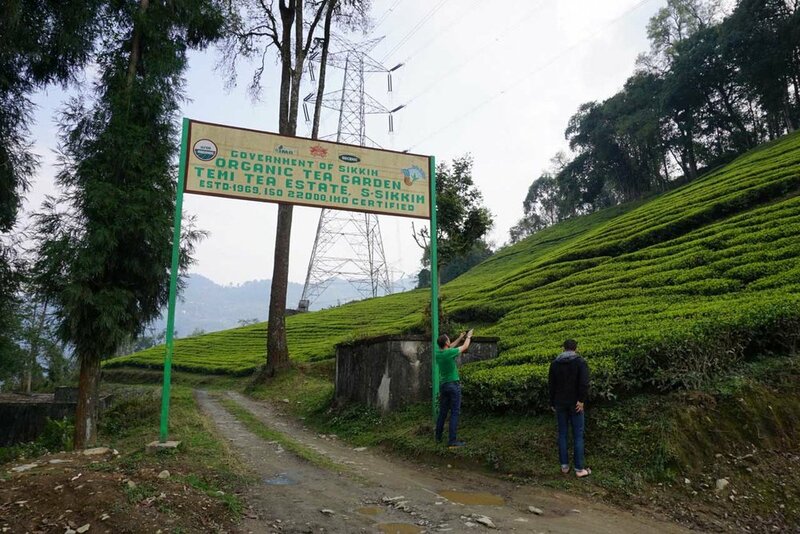 The entrance to Temi Tea Estate. Pay no attention to the American in green with the camera. When it comes to tea from the Himalayas, nothing beats Darjeeling—arguably the most prestigious region of the British-established tea industry. Its over 80 estates produce some of the most valuable leaves in the world, in a unique environment with distinct terroir. But tea bushes don’t pay attention to geographic borders, and there’s a lot more to know about Darjeeling-style teas beyond the bounds of Darjeeling and West Bengal. About 30 miles north of Darjeeling, across the Rangeet River and nestled between Nepal and Bhutan, lies Temi, a tea estate that climbs to over 5,000 feet. 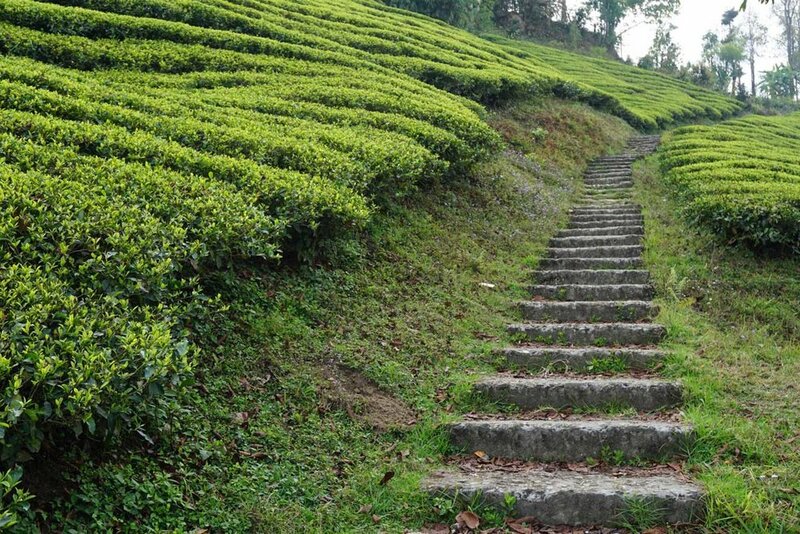 Temi is the first tea garden in Sikkim, a once-independent kingdom with a Buddhist ruler called the Chogyal; it became a British protectorate in 1890, and an Indian state in 1975. 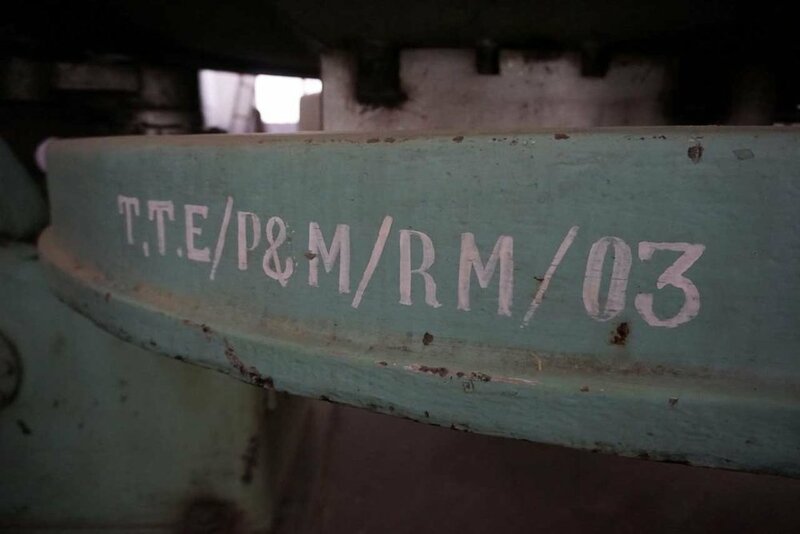 The tea made at Temi recalls a classic Darjeeling profile that is increasingly hard to find: rich and spicy, almost bracing in the cup, with layers of orange, nutmeg, and ginger. This beefy texture and robust taste can be attributed to the T87 cultivar, a strain of Camellia sinensis var. sinensis once common in Darjeeling that has since lost its popularity. After tasting this spring’s first flush production while at Temi, adding it to our catalog was a no-brainer. Not only is the tea delicious, it’s a drinkable lesson in Himalayan history. In the 1990s, I had the fortune of meeting Teddy Young, one of the last generation of British tea planters in India and the man responsible for making Temi the proud estate it is today. He explained to me that the British government established the garden in 1969, in part as a resettlement opportunity for Tibetan refugees. But the garden was disorganized, the tea hardly worth drinking. 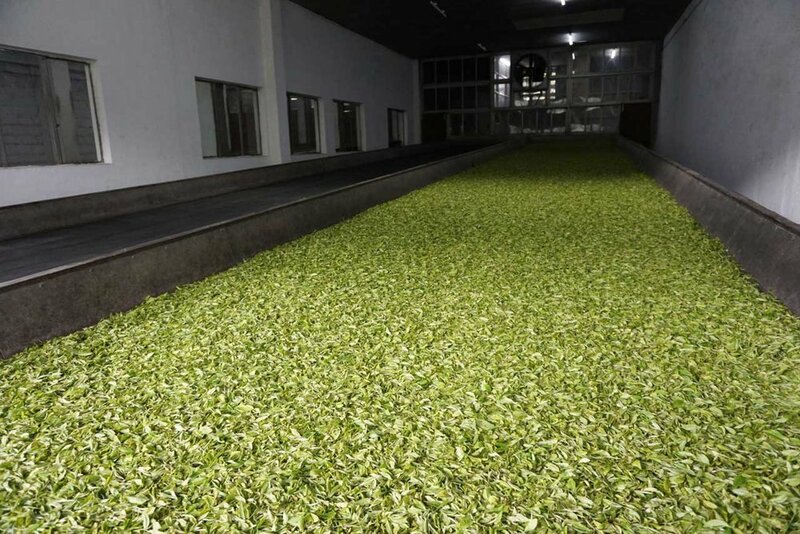 Fortunately, Temi has continued to grow quality tea and thrive, with a new generation of managers responsible for maintaining the oral traditions and specialized knowledge that make these Darjeeling-style teas possible. The estate became certified organic in 2005, and continues to devote ample space to the historic T87 cultivar. This is the first year we’re carrying Temi’s tea, but it will not the be the last.